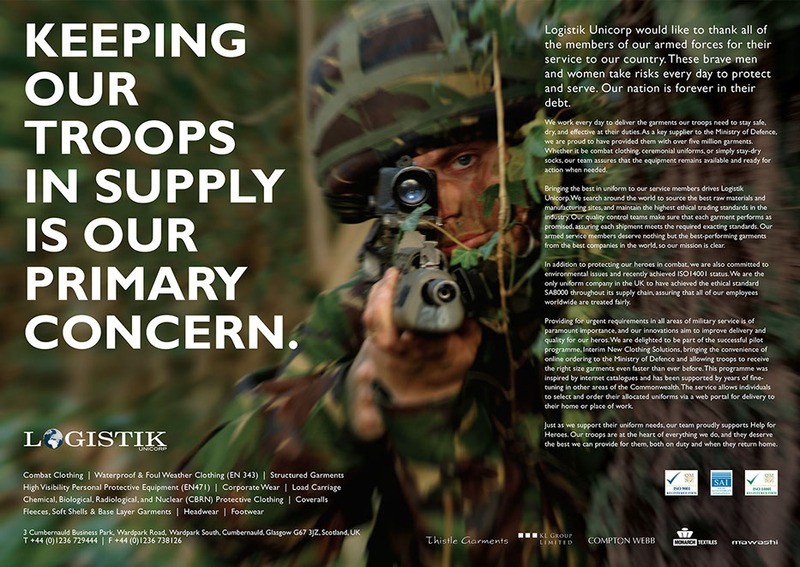 Advert & editorial for Help for Heroes publication. Design and layout of a double page spread. The supplied photography required retouching to fit the page width and motion blur was also added to create focus on the soldier. The Logistik logo was also given a refresh. I also advised and aided editing the supplied copy.